realistically approaching what needs to get done before you begin adding new pieces to your pool is key! Dogs are very live-in-the-moment creatures and can’t always associate overclocking their front legs muscles (common with swimming dogs) to exhausting themselves to the point of it becoming difficult to stay afloat. Make sure your dog’s life jacket is a snug and comfortable fit so that it is 100% effective. What do you think of when you hear “dream pool?” Is your pool up to your fantasy’s standards or are you ready to take it to the next level? What amazing ideas do you have for your dream pool? Did you know sometimes that foul, overbearing “chlorine” smell in a pool is not caused by too much chlorine but too little? Today we’re talking about everybody’s favorite ammonia derivative, chloramine! Well, actually, nobody cares for it. Read on to find out why. A lot of people are convinced that when their throat is burning, their eyes are burning, and there nostrils are on fire from “chlorine” smell, that what they are experiencing is chlorine overload and that whoever is in charge of the pool is lazy or just did not wait long enough after pouring in lots of shock treatment. They are only partially correct - the issue stemmed from chlorine but not in the way they are expecting. Where specifically is it really coming from if it’s not too much chlorine? What is causing the burning and stench is chloramine. How does chloramine come to exist? It can start when people do not put in enough choline. That’s right, chloramine can be a negative outcome of actually trying to clean your pool. Talk about ironic! So the chlorine has gone into the pool and it’s breaking down and cleaning up but now here’s where the issue is. Chloramines are created out of organics in the pool (such as body sweat and urine) reacting with the free (AKA available) chlorine. Looking at the big picture, there is some responsibility for everyone involved. But it’s not just the people and the cleaning material making this awful chloramine pool water. It can also be the air. That spells trouble for indoor pools. Additionally, a frequently crowded indoor pool is at threat of being contaminated with chloramine due to the high volume of people that use the pool, each of them giving off bacteria. What’s a great way to prevent having chloramine show up to begin with? By having people take a soap shower before hopping in the pool. This will clean up much of the bacteria they normally bring into the pool. There’s still plenty more to cover when it comes to the fascinating subject of chloramines. We might tackle this subject again with more information down the road. Do you need a pool professional to come out and take care of your pool? If so, get in touch with us at Pristine Pools. We’re passionate about making sure your pool is kept attractive and healthy! We know that when you’re swimming with your family that the last thing you should have to be worrying about is pool maintenance and care. That’s where we come in. You can reach us by phone at 512.773.0668. Also, be sure to connect with us on our Facebook page. Until next time, pool-lovers! We gave you advice on throwing the best pool party before. That blog including tips on how to keep your Pristine Pool safe and easily navigable during a fun gathering. Now we’re getting really specific on fun things you can add to your pool party for one special day of the year. You need to let your guests know that this is a one-of-a-kind pool party! Since we just missed planning for a Memorial day pool party to honor those that have served in the United States Armed Forces, let’s focus on another holiday pool party you might throw down the line on, perhaps, the 4th of July. Two simple things are needed besides the usual assortment of chairs, towels, snack, drink and pool toys/games. These two things are thematic decoration and thematic cake. The thematic decoration is simple - go out and pick up some fun trinkets including paper table sheets, cups and so much more that have your particular holiday in mind. After that, you need to make a Holiday cake for all your swimming buddies. You know how people say you shouldn't eat and then swim? Tell them they need to leave you alone and to stop threatening your freedom to enjoy cake! You better bake an amazing red, white and blue cake for the next pool party you have! Your guests will thank you with silent muchning. Bake the cake the day before and put that yumminess in the fridge. When your awesome pool party is kicking into high-gear, pull that cake out and plop it on a table. Some forks, a knife and seasonal paper plates will let your guests know what they need to do. If you have too many shy guests over and they aren't going for the cake then go ahead and start cutting and placing slices on plates. That’ll let them know the time is now. What is the perfect cake for an upcoming holiday that is pool party friendly? This and also this. Do you know what you need to do to get your Austin Swimming Pool ready for your next set of visitors? Do you need an awesome pool professional to swing by and help you out with repair or maintenance? Let us know! You can reach us by phone at 512.773.0668. There’s almost nothing worse than heading to your pool while thinking about how nice the water will feel when it surrounds your body to soothe and cool you off only to find something unexpected in the water - a little critter. We’d like to go over some of the very best reasons for you to become the proud owner of a hot tub. Not only are they fun, but hot tubs have some other benefits as well. Check out some of our top reasons below. You read that correctly! Hot tubs will heat up and relax your achy body. Maybe your back has some tightened up muscles. Maybe it’s your legs or thighs that really could use some loosening up. Maybe all your office work has caused one majorly cramped up neck. All those issues might be solved with a warm and friendly hot tub. If you’d like to do a bit further reading on this beneficial subject, check out this article that details all the healthy benefits your hot tub will offer you. You’re on your way to an improved body! Yes, it’s only May but that doesn’t mean you shouldn’t be thinking about Winter! Trust us when we say it is too much fun to use a hot tub when the weather get chilly. Getting a hot tub right now is the best plan so you can have it in time. By the time winter comes in, your new hot tub will be in full operation! Now is the time to buy one if you haven't’! If you are already the proud owner of a hot tub, now is the time to get it professionally cleaned up and primed for action! The best part of a hot tub is the social aspect of it! It’s an endlessly entertaining go-to device. You could have the neighbors over and enjoy the heck out of your relaxing, bubbly hot tub. Summer, fall, spring or winter, your hot tub is good for the entire year. You and your buddies will have time fly out the window as you collectively gather into the soothingly warm bath. What’s stopping you? Take the plunge now! Do you own a hot tub? If so, call Pristine Pools over for maintenance on anything related to your in-home spa. We can offer equipment installation, repairs and cleaning for your pool and spa in or around Austin Texas. Give us a call at 512.773.0668. If you’re on Facebook, consider giving us a LIKE on our official Facebook page. If you do, you’ll be kept up to date on the latest in our Pristine services and you’ll also be treated to some really cool pool photography. It’s very affordable and very easy for a professional pool service to seal your stone around your pool. No kidding! Are you ready to host an epic party at your swimming pool? The Austin pool pros here at Pristine Pools are ready to give you some tips to make sure your party is unforgettable. You need to organize your pool area in a way that will guide your guests towards certain areas. Naturally, as the person responsible for the property, you’ll have places you want your guests to go and others you want to keep guests away from. Set up casual appearing “roadblocks.” If there is an area of your backyard that you don’t want people to walk into, then setting up some decorations or pottery to block it off will have people taking the hint whether they know it or not! Get creative. As much fun as pool parties are, you want to make sure your party is safe. Have a first aid kit nearby and eliminate objects that people could potentially trip on or fall onto. Let guests know, upon arrival, that you are the contact person if they need anything at all. Encourage your guests to bring their own towels but, let’s face it, chances are at least a few of them will forget. It’s not entirely uncommon for lots of your party guests to forget their towel. Make a big, organized pile of them and put them outside on a table. Bonus points - put the towels near the house so guests that run in and out to the bathroom can dry off on their way to the inside of your house. It’s genius! You may have read our pool noodle overview from last week’s blog. If you have read that blog you are probably already considering grabbing a few of them for your party. Other great pool toys include floaties. But besides the obvious ones, consider pool toys that double as fun pool-games your guests can play. These include waterproof sports-balls and pool basketball nets! Just have these toys and games set up in the pool when your guests arrive and you’ll be pleased to see that the party guests will gravitate towards these on their own. Be sure there is plenty of water for your guests to drink! Swimming takes a lot of energy out of people so staying hydrated is important. If you need pool service of any kind, be sure to get in touch with Pristine Pools! We’re the Austin Pool Pros that can help you out with anything relating to your pool. Call us at 512.773.0668. Just remember: make it a memorable party. We all know and love it. Your kids scream at you when they can’t find it. Your best friend has been ignoring you since his came in the mail. And you don’t even want to get in your beautiful Austin swimming pool unless there’s at least three waiting for you. That’s right - we’re talking about the famous and beloved pool noodle swimming toy! Using this watercrunch blog entry from last year as a resource, we thought we uncovered the inventor of the pool noodle. But there are lots of people claiming others or themselves as inventors in many different countries. One source even claims it was invented in 1999, which is outrageous but further highlights the confusion of the noodle’s inventor. At this time, we are unprepared to declare a pool noodle inventor. The pool noodle may be similar to a popular quote that everybody knows but can’t quite point to historic proof as to who created it. With that being said, according to a few sources, the commonly used term “noodle” came from Jakks Pacific’s use of “FunNoodle” for branding the pool noodles in the late 80s. Though with the poor amount of evidence, it could just as easily be argued that it was the other way around. Pools noodles are a great exercise tool! You can do several exercises and play several games with your pool noodle. I’m not kidding when I say ehow.com has a really impressive guide on all the exercises you can do with your pool noodle. Nothing beats a pool workout! But remember, as much fun as they are, pool noodles are very buoyant and, if you’re not careful exercising, you can accidentally harm some of your buddies that are excercising with you. It’s fortunate that they are so well padded! The design choices behind the pool noodle are what makes it stand out so much. The colors are fun and bright, the simple design is brilliant in the inventive way it unlocks the imagination of people of all ages, and the material typically makes it an almost harmless pool toy. What else? The air holes inside them allow some water to be playfully blown out towards other swimmers. Their affordability allows them to be purchased in bundles so you can construct almost anything, including a makeshift raft with some rope. Before finishing your pool noodle raft, save a small end of one of the noodles for a bizarre pool noodle hat and you’ll be the king of your pristine pool! As with any pool device, always be cautious and aware that It’s possible young children may use the pool noodles to rough house or smack other people. Just make sure you are supervising young children’s specific use of the toy so the fun doesn’t accidentally get out of hand. Someone actually wrote a book on using your pool noodles. It’s called “50 Ways To Use Your Noodle.” It was followed up by “50 More Ways To Use Your Noodle.” Check them out! What’s Your Take On The Noodles? Are you going to get a pool noodle (or five) for the swim season? If not, why? Let us know on the Pristine Pools Facebook page. If you are a pool owner in need of pool advice or help, please contact Pristine Pools - the Austin pool experts. You can reach us at 512.773.0668. Have you ever wondered what “SPF” means on that sunscreen bottle? What does the number next to “SPF” mean? Does it really matter? And what is the difference between the spray version of sunscreen and the solid version? Shouldn’t I just buy the least expensive sunscreen since it can get so darn pricey? All those answers and more will be covered by Austin’s pool cleaning pros in today’s Pristine Pools blog. The Austin sun is coming out! That means you need to start stocking up on sunscreen for you and your family. If you are reading this article, then that likely means you are the type of person that thinks ahead. Props to you! So you’re in your local convenient store at the sunscreen section. Look at all the options! Need a quick recommendation? Consider purchasing a bottle that is lotion-based and has an SPF of at least 30. Read on to see why! We suggest the minimum number you use be 15 for casual outings. If you are planning on hitting the beach, then use no less than SPF 30 all over your body. Protip: SPF numbers are tiered in an unusual way. To elaborate: SPF 30 is stronger than SPF 15, but it is not twice as strong. That is a common misperception. Though a higher number obviously means stronger sun protection, just don’t take it as simply added additional numbers to SPF with all power retained. Does it matter which form sunscreen comes in? It appears so. We recommend using regular lotion as opposed to going with other substances such as spray or powdered sunscreen. Though those types can potentially be safe, there is less controversy about whether or not you should use regular lotion. As convenient as it is, consider avoiding the spray! Read more here and do a bit of research on your own if interested in further content. Always do your research and always protect yourself from the sun when you head outside (pool activities or otherwise!) Here is a resourceful SPF article on galtime that may be of interest to you and could help you better plan that pool party for the summer. 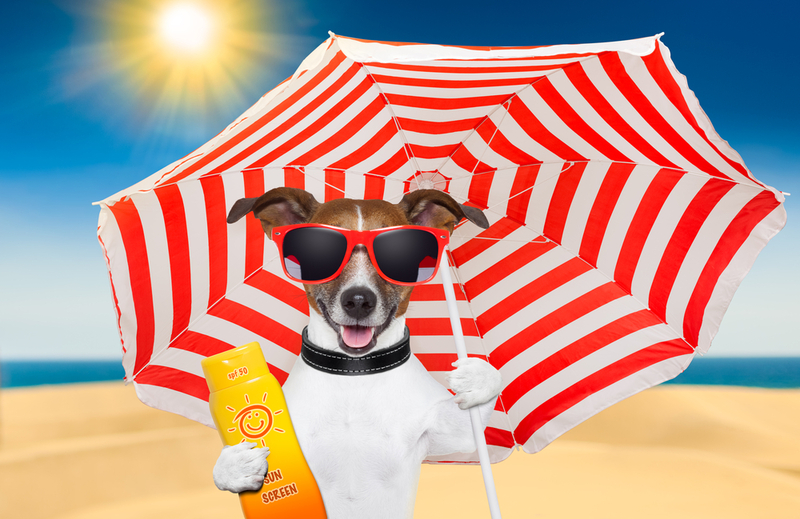 Now that we have covered the science behind SPF, you are ready to take the family to the pool! Or, even better, you are ready to take the family to your very own pool! Be sure to use a local Austin pool company for all your pool needs. Contact Pristine Pools at 512.773.0668. You will be glad you did! Get Your Pool Ready For This Summer! April is already here which means it’s time for you to start thinking about getting that beautiful pool of yours ready for the summer! You’re likely already planning fun activities for you and your family to do but we want to share a few tips with you first. Before jumping into what to do to the pool itself, we’re going to cover what you should do directly around your pool. Is there a first-aid kit nearby? How’s the general setup regarding safety? Are there any obstacles that may be risky to have out with a bunch of running toddlers? A good rule of thumb is to imagine your entire family outside enjoying themselves and see what could potentially pose a safety hazard. Turn on all your pool maintenance equipment and see if everything sounds fine or if there are any leaks. You’ll want to report any leaky cracks from the pump to a local professional pool service in Austin as soon as you spot them. Leaks can lead to water getting all over your swimming pool motor so keep an eye on it. Saving a motor will end up saving you money! Your water has been sitting there all through the Winter and now it’s already April! Because it’s been some time since you’ve used it, consider having a pro pool service come out to test your water’s levels. While we’re on the topic of the water itself, let’s talk about evaporation. Even though it was really cold this past Winter, evaporation still occurred in your pool. Replenish water that has left your pool. It may be tricky to even notice, but you could be missing a little bit of h20. Top it off! Are you one of those lucky pool owners that has a lovely vintage pool that you manage to keep up and running every year? If so, you may want to consider keeping the pool itself but replacing the deck. Cracks and tearing can be appealing for that “aged” look but that doesn’t mean you should just sit back and enjoy the aesthetics. Remember, damage outside of the pool can lead to damage to the pool itself! Bottom line: a deck needs replacing after a certain amount of years and that really depends on a number of factors including the amount of wear and tear done to it. Take that into account when considering what you need to be doing in preparation of all those pool parties you’ll be hosting this summer. Check out this helpful site that inspired some of our tips and do some research on your own for more advice before hopping in the pool. Pristine Pools is an expert in pool maintenance, pool cleaning, and pool repair service. We are located in Austin, Texas. Contact us for a free quote at 512-773-0668. The importance of keeping your pool & spa clean. Doing so will keep your pool & spa working properly for years to come. Pristine Pools offers pool cleaning & repairs. If you’re looking to upgrade your equipment let us give you the low-down on what is the best value for your money. Our commitment is to your long-term interest. We pride ourselves on doing it right and getting you the best value for your backyard asset. It’s the situation every pool owner dreads, having something broken with your pool. Let our experienced technicians give you the very best options for your pool with value and long term savings in mind. Pristine Pools is Austin’s premier pool service company. Our technicians are Certified Pool Operators, Water Chemistry Certified, and have years of industry experience. Our maintenance plan can be tailored to your individual needs and budget. Please contact us for a free consultation and let us begin making your pool experience a safe and stress free luxury. Welcome to our website! Pristine Pools does pool cleaning, pool repairs and pool equipment installation in Austin and surrounding areas. Follow our blog for helpful pool tips and specials every week. We would love to hear you feedback, contact us by phone or our contact form. Also, check our Pool Facebook Page.